For insulation I used to rely on fleece jackets, or multiple thin fleece tops with a wind shirt or waterproof on top. But in recent years I have moved to a system that works better for me. I tend to walk hot, quickly building up enough body temperature and rarely require much in the way of insulation while walking. I usually have a baselayer of lightweight merino wool. This is either a short or long sleeve or, my usual preference, a short sleeve merino polo shirt. Occasionally I may use merino arm sleeves as well, sliding them down and removing them as required. Over this, if it is cool, I might have a windshirt. 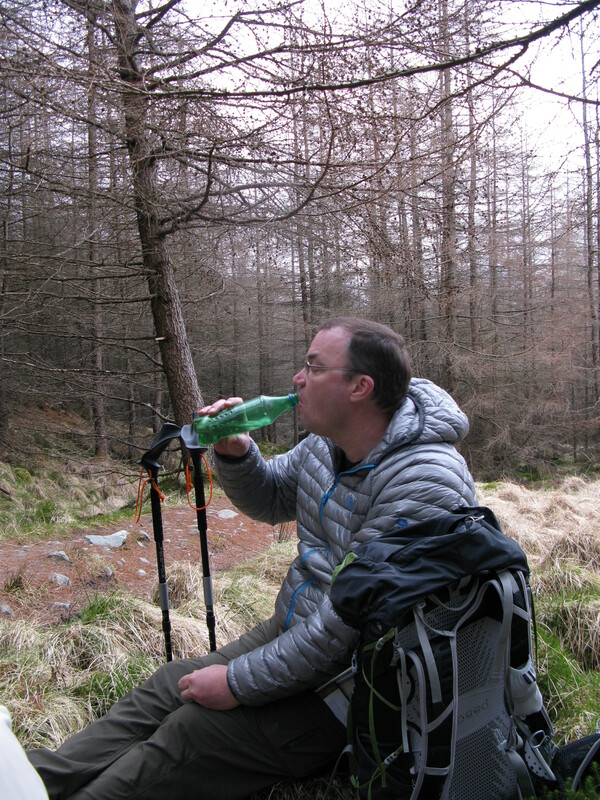 The one I like to use at present is the Montane Lightspeed. If walking in the winter months, then my Paramo Velez Adventure Light Smock as top layer is my new best friend. 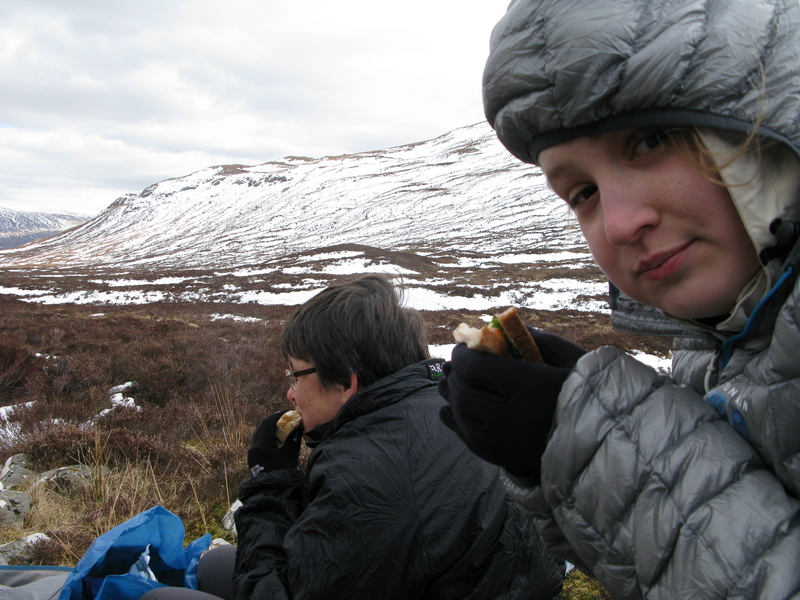 An insulation layer is what I quickly overlayer with at halts or meal breaks. It is also what I am wearing in a tent or as camp wear and for the wander down the pub in the evening. If need be, on the coldest of nights, the option is also there to lay such a layer over me, or wear it inside the quilt. My legs don’t really get cold while walking so I don’t possess any pair of insulated trousers, I have worn fleece lined trousers in the past but found them far too warm. On occasion I have slipped on a pair of waterproof trousers over the top to give more warmth, but I am currently experimenting with the switch to a rain kilt, or skirt, but that is a story for another page. Having now moved away from fleece outer layers for insulation I have four main items of top insulation that I can draw on. This may seem a tad excessive but not all go in the pack, instead, this range provides me with a lot of choice as to which to take with me. The Mountain Hardwear Ghost Whisperer Hooded Down jacket is an incredibly lightweight piece of kit. My size XL weighs just 242g, which is absolutely astonishing. It has a tiny pack size too. This is achieved by Mountain Hardwear using a 7D X 10D ripstop nylon fabric that, to date, is holding up well with no tears. I am very careful not to give this jacket too much of a bashing though, it certainly wouldn’t stand up to excessive abrasion. I purchased my hooded jacket, with 850 fill power down, just before the company switched to DWR ‘Q Shield’ down, which has been treated to resist moisture. This is a feature I wouldn’t have minded having but I am not going to buy another (they are pretty pricey) just to obtain this. Untreated down does have a slightly better loft when dry than treated down though not much. In order to keep the weight low there are virtually no features to the jacket. A simple toggle hem, elasticated cuffs and hood, which hugs in nicely around the face. The quilted design keeps the down in place. There are two zippered front pockets and the whole jacket stores in the one pocket. It would be a bit tight for over-layering on top of much clothing though. A waterproof jacket would have to go over rather than under. Down is an absolutely superb insulator. Light, extremely compressible. While down is also expensive, the top level synthetic fills are little or no cheaper. The well known Achilles heel that down suffers from is its susceptibility to clumping and loosing all insulative efficiency when it gets wet. The DWR treatment now being offered goes some way to combat this but it is still wise to protect down from saturation. Especially difficult at times in often wet Britain. If camping, I do think it practical to not have both sleeping bag (or quilt) and insulating jacket filled with down. Should the pack become saturated, or the tent flooded, and the sleeping bag get wet, it is good to have at least an alternative that will retain some heat while wet. 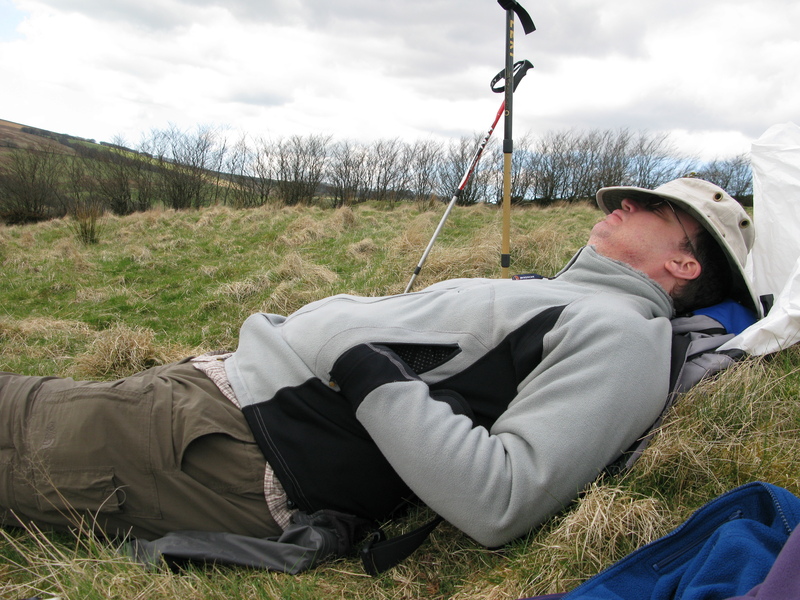 A brief halt on Exmoor in 2009, time to pull on Montane Jaguar Polartec fleece. Sooo cosy, it makes you want to…. As I mentioned above, I used to rely on thicker fleece jackets for insulation but never found they gave me exactly what I wanted. 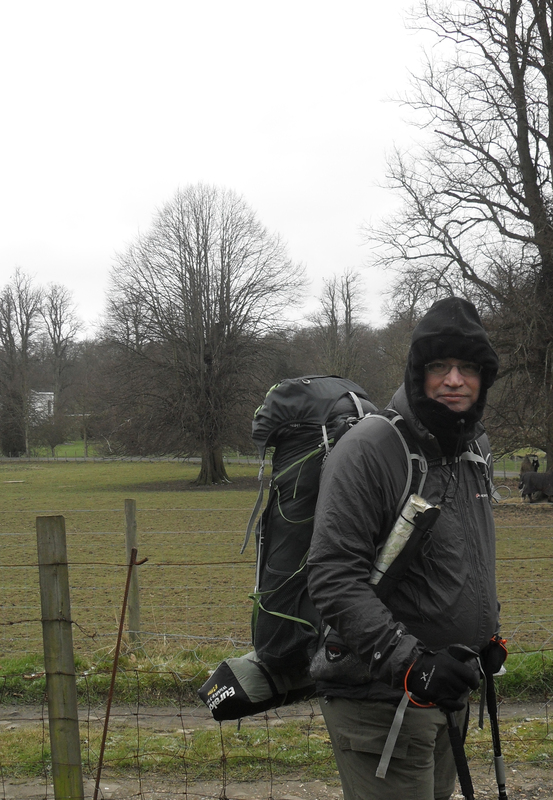 One of the better designed jackets that I have used in recent years is the Montane Jaguar Polartec fleece. This reminds me of the old Buffalo fibre sleeping bag I used in the 1970’s and early ’80’s. It has a soft brushed fibre inner that traps air and feels very comfortable. These wick well and it never feels clammy as a result. 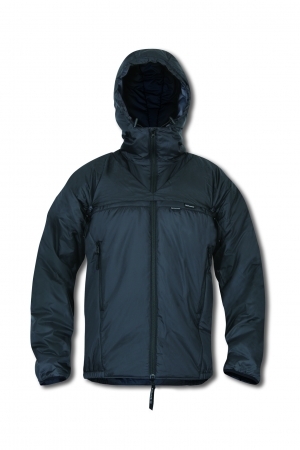 This is a bi-fabric, zoned construction jacket with Polartec Wind Pro for the main body and Polartec Thermal Pro stretch panels at the side (the black panels in the above image). These help reduce the weight and bulk of the jacket while still providing insulation where it is most needed. There are other features- drawcord adjustable hem and collar, handwarmer pockets etc. 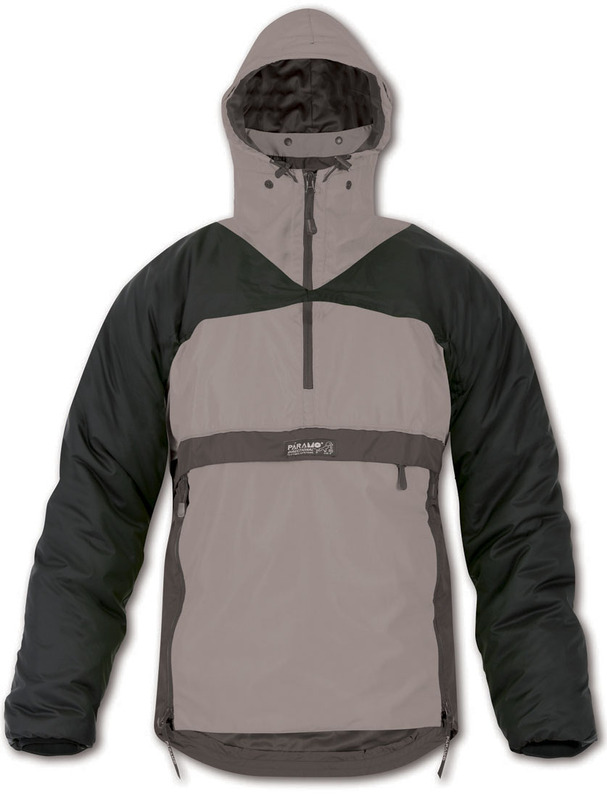 Being entirely synthetic, 100% polyester, the jacket retains a lot of heat if wet and is pretty much windproof. It is rather nice but I rarely take it out these days. Size XL weighs 726g, which is rather a lot for what it delivers. 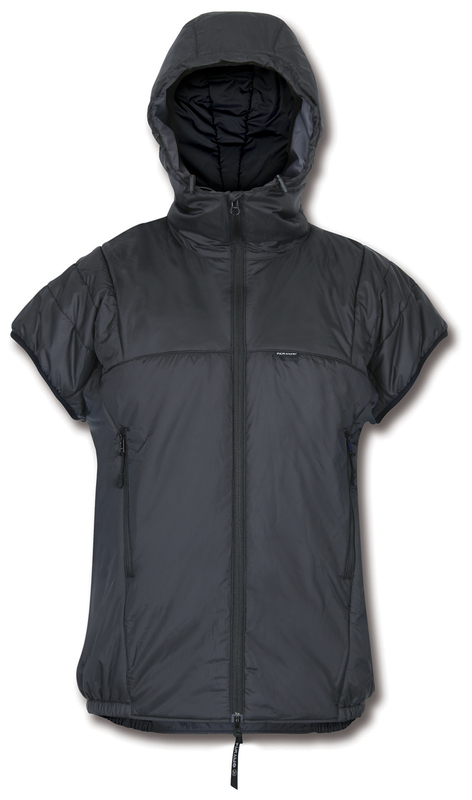 This lovely jacket has Pertex Quantum inner and outer linings and Primaloft One filling. 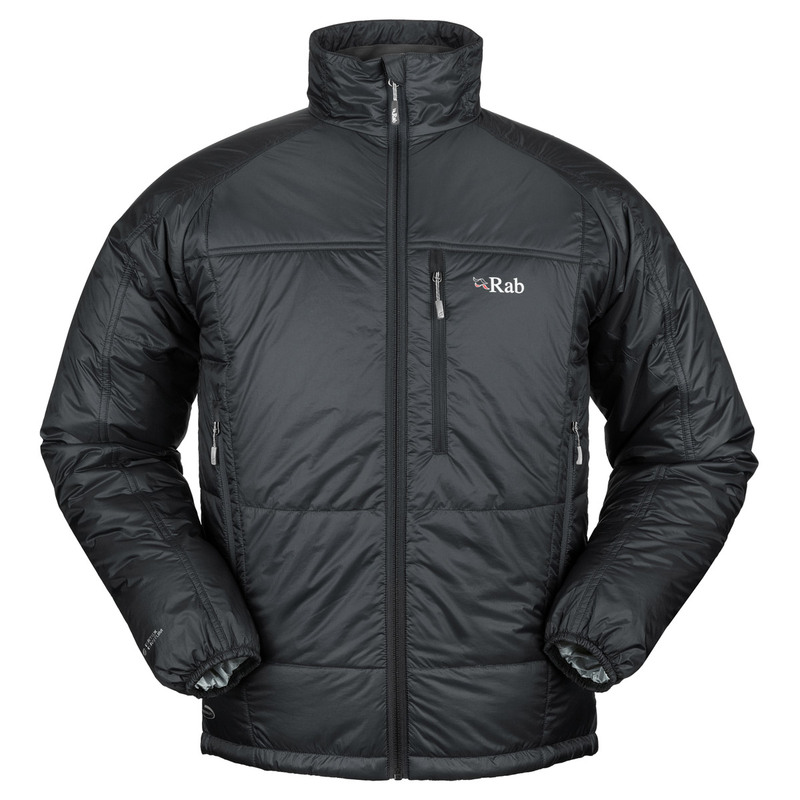 One of the ways that the weight is kept down on this jacket is the way that Rab have utilised Primaloft One filling of different weights in the body and arms. 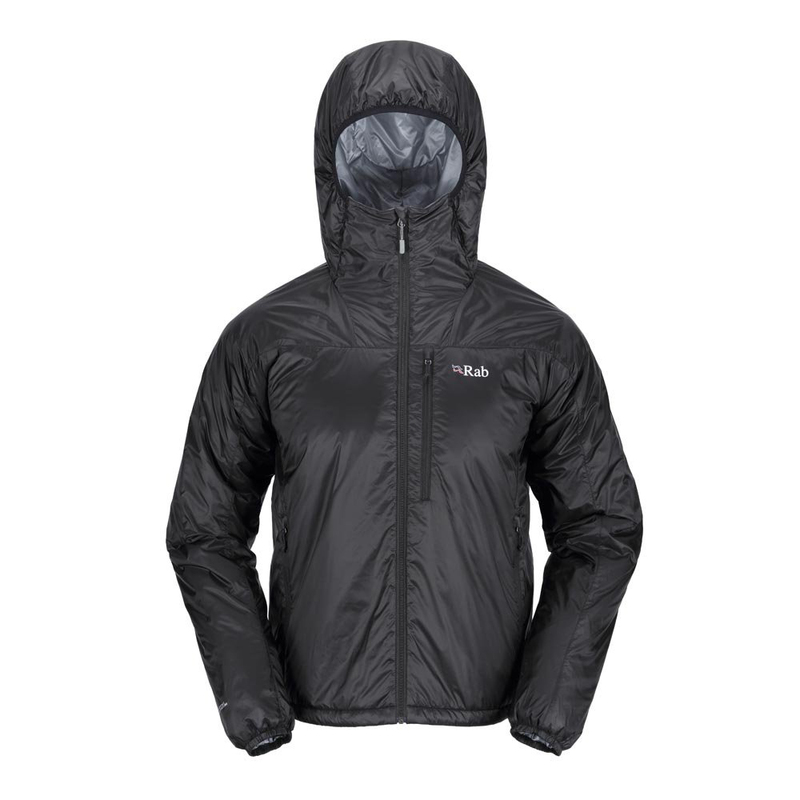 The body of the jacket is filled with Primaloft One insulation 100g/m2 while the arms are insulated with Primaloft One 60g/m2. When I bought it, Primaloft One was the most water resistant and compressible of synthetic filling. Packed into its chest pocket it measures around 280mm x 260mm x 100mm but can be compressed further. Fully synthetic, the outer and inner are 100% polyamide and the fill is 100% polyester. It has a black outer (to suit my demeanour) and a blue inner lining. Single way baffled zip at the front. Lycra hem and cuffs. I sometimes find the cuffs a bit tight and wish they could be loosened but when the breeze is blowing and I am able to slip my hands inside them thanks to the generous length of arm, instead of bothering to stop and pull on a pair of windstopper gloves, I am thankful of their tightness. It is this style of jacket that saw thousands of hill walkers abandoning their usual fleece jacket for such as this. I was one. This jacket sees a lot of service. I also use it in the city and for a wander down the High Street. When it eventually wears out, I would have bought another, but the winter of 2014 saw it being superseded by another model. I came late to Paramo. I had heard for so many years about over warm waterproofs that this was all I associated them with and I steered clear of their products. It was only when I explored the option of one of their lighter weight Velez smocks that I visited their outlet in Wadhurst. While there, like you do, I tried on just about anything of interest. That was when the Torres Core and Sleeves really impressed themselves upon me. I tried the lighter Torres Gilet with the sleeves but they gaped behind the armpit. So I eventually settled on the Core and Sleeves over-layering combo. It looks a pretty daft set, but they really do work at providing insulation options when out walking. For me, their great warmth points only at full winter usage, though I continue to pack them into a day sack for any colder days in the shoulder seasons. Core– Size XL. Weight 547g. Two way zip with storm flap at the front and inner pocket on the left breast. This is big enough to hold an O.S. map though I have never needed it for such. Hem is part elasticated. Elasticated arms help prevent draughts and heat loss. Cosy zipped hand-warmer pockets which are positioned high enough to be accessed when the pack is on. A big hood that can be tightened around the face with a drawcord the end of which is inside to prevent it being whipped across the face in the wind. Something that has occurred with other jackets on which you never really notice the omission until you receive a stinging reminder. It instantly feels warm when put on. The dark liner means it can be warmed up quickly under the sun if needing drying out. Sleeves– Size XL. 256g. These have a draw-cord around the top of each sleeve to pull tight as required though I seldom need to alter this once adjusted to my size. Sleeves are nice and long and it is possible to tuck the hand inside the elasticated cuff to quickly warm them up. Can be treated with Nikwax T.X. Direct to improve or restore water repellency. They are put on as though putting on a pullover, best not to think too much about the process. They can go under or over the Core but my preference is always under. 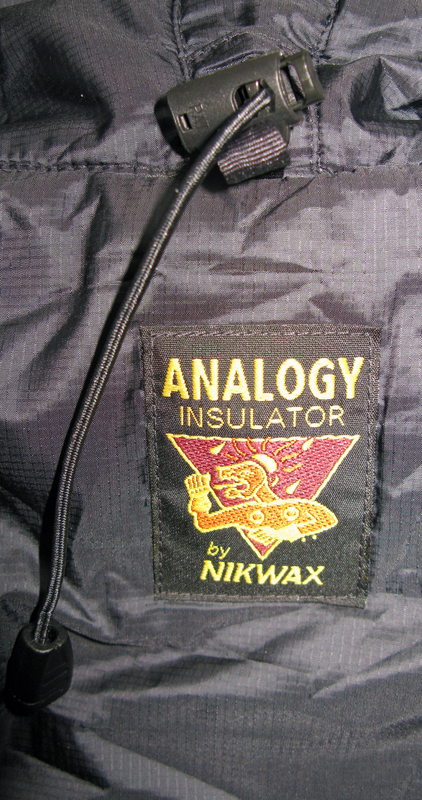 Both items are made from 100% polyester and consist of Nikwax Analogy Insulator with Nikwax Windproof outer. The exterior fabric is pretty tough, I have had to push through blackthorn and bramble with this on and it has come through completely unscathed. The 133g synthetic insulating fill is really warm, even when sat or stood still for extended periods in zero temperatures, though a decent set of baselayers helps make it work. This pairing of separate sleeves and core vest are an almost perfect combination for what I need, which is over-layering instant insulation while retaining a degree of flexibility. I can throw these over a soaking wet waterproof with impunity. However there are two major factors that virtually discount the Torres Core and sleeves from any gear list for longer, multi day walks; those are bulk and weight. I keep the two in a 59g medium size Exped stuff sack (though I could use a lighter option). So the whole lot weighs 862g which is pretty weighty. Even when compressed a bit, this still measures some 300mm x 220mm x 110mm which takes up a fair bit of room in a pack when not in use. 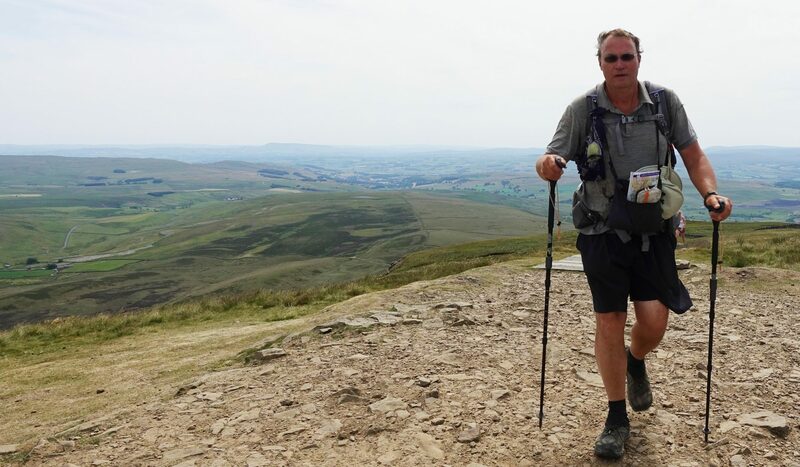 So, great for a day walk on British hills, especially in colder conditions or if the weather is a bit iffy, but not for longer hikes of a week or more. This hooded jacket is a slightly lighter option than the Rab Generator but provides a handful of additional features that make it stand out. Again, because I use this as an overlayer I have the XXL size, this weighs 416g. This not a great deal less than the Rab Generator but the Xenon X does feature a hood. The fabric is Pertex Quantum (this is a lighter material than that used on the Generator) and it has a lighter insulation fill than the Generator. This is filled throughout with Primaloft One (60g/m2), this material has been renamed as Primaloft Gold though I have no idea why. The large hood is lycra bound and the soft fleece chin guard is a nice addition. When stuffed into its chest pocket it measures around 240mm x 230mm x 80mm but can be compressed further. It has elasticated cuffs and a hem tightened via a drawcord. All the pockets will hold an O.S. map and have zippers. This is such a handy piece of kit that it is now the default piece of insulation in my pack that has to have a good reason before being deposed by one of the other options. I cannot see me having to change from this insulation range for the foreseeable future as I am very happy with the items of clothing. Even if, on occasion, they have been ‘borrowed’ by certain members of my family. Hi Mr. , um, 3-points! I’d be keen to run something past you. I’m finding it tricky to find details of the overlayering system in practice, esp for longer walks. I’ve been a Paramo convert for a while and been using a 3-layer setup with the Adventure Velez for my shell. We’ve a 6-day April walk in Knoydart coming up and I’m reviewing apparel. I came across the Paramo Torres Alturo – very like your gilet+sleeves but in a oner – and I’m very very tempted as the temperatures will obviously be a bit on the low side. Similarly to you I walk warm but cool down v quickly for, say, lunch and at the camping spot. I love the idea of leaving behind an extra mid-layer and my down jacket (obv very susceptible to wet) and overlayering instead. But would this be practical for day after day walking? So I put it on in a downpour in the evening, remove it for getting into the tent, and the next day carry it still wet and put it on again wet in the evening? I’m sure I’d be toasty but will I be carrying and wearing a wet jacket day after day? While the Analogy system does ‘pump water outwards’ I can’t help suspect I’ll be somewhat damp all the time if it proves to be a wet trip.